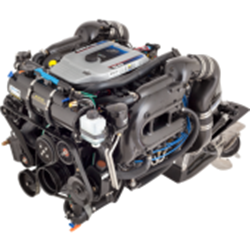 Mercury MerCruiser Sterndrive and Inboard engines have been boaters first choice since 1961. 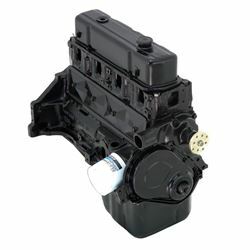 The current production lineup starts with a compact 135 Horsepower 4 cylinder and ends with the new Mercury manufactured 8.2 liter 430 horsepower. 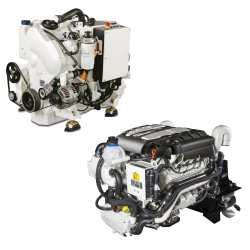 Sterndrive engines from Mercury Racing run from 520 to 1650 horespower! The enhanced SeaCore corrosion protection option which includes a 3 year warranty is avalable on the 4.5, 6.2 and 8.2 liter sterndrive models.